From April 22-25 the ByTowne Cinema in Ottawa will be showing Tony Girardin's 2014 documentary about Montreal framebuilder Giuseppe Marinoni and his attempt to beat the One Hour Record in his age group in 2012. I not only have a 1998 Marinoni Ciclo sport/touring bicycle but I had Cycles Marinoni refinish my Raleigh Team Professional and Mr. Marinoni made a new fork for that frame although he is quasi/semi-retired. 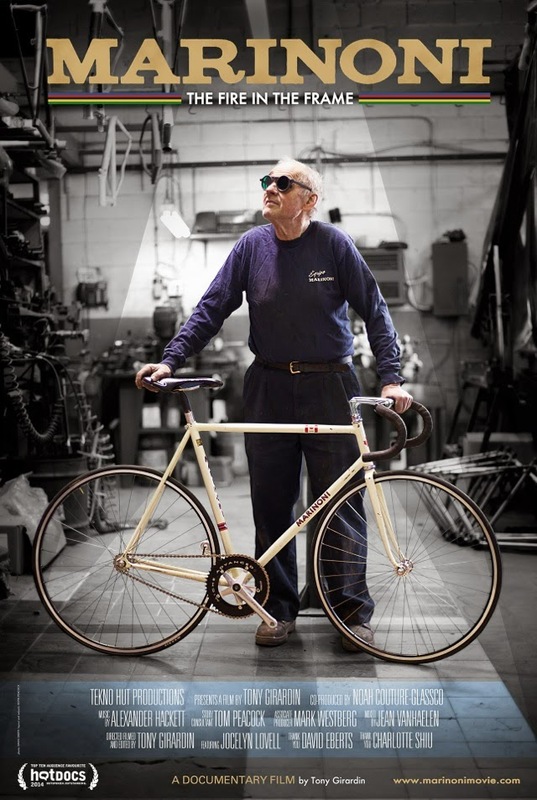 The documentary about his attempt at age 75 to beat the record on one of the steel bicycles he built himself premiered last April in Toronto and has limited distribution since. At the April 22 screening Giuseppe Marinoni will be present for a Q&A session after the film. Should be fun! More information about the movie can be found here.